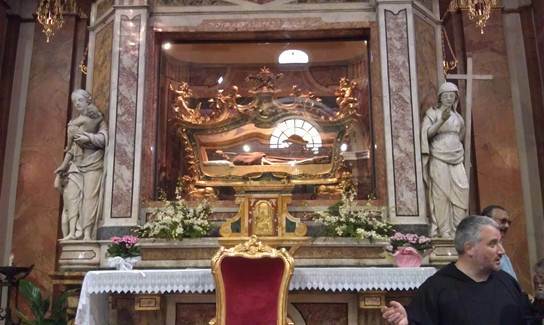 Feb 6 – St Paul Miki, SJ & Companions; Christian Martrydom? Is it REALLY about death? “Martyrdom consists essentially in standing firmly to truth and justice against the assaults of persecution” (ST II-II, q. 124, a. 1, corpus). Martyrdom, for St. Thomas, is a special act of fortitude, a “standing firm” in the face of death. But death is not the goal. St. Thomas explains: “endurance of death is not praiseworthy in itself, but only in so far as it is directed to some good consisting in an act of virtue, such as faith or the love of God” (ST II-II, q. 124, a. 3, corpus). Now, of course, death is rightly associated with martyrdom, wherein the Christian’s virtuous “endurance” is rendered in the most perfect fashion. St. Thomas explains: “A martyr is so called as being a witness to the Christian faith, which teaches us to despise things visible for the sake of things invisible… therefore the perfect notion of martyrdom requires that a man suffer death for Christ’s sake” (ST II-II, q. 124, a. 4, corpus). As gentle, edifying Lenten sacrifice/mortification approaches, let’s give this important/vital/life giving thought some solemn, quiet consideration, and respond as the Spirit directs. All grace required to accomplish will be supplied. I promise. 🙂 Phil 3:8. Given the brutality we have witnessed of late on the news, I turned off the sound so Mara wouldn’t hear. Her reading is not to a discomforting level yet for her parents. I can’t help but feel human suffering is more palpable now, than perhaps I have felt before? We NEED to pray! I NEED to pray! It gets me through the day. It really does. Lord, keep us ever mindful of Your Passion. Ever Mindful. 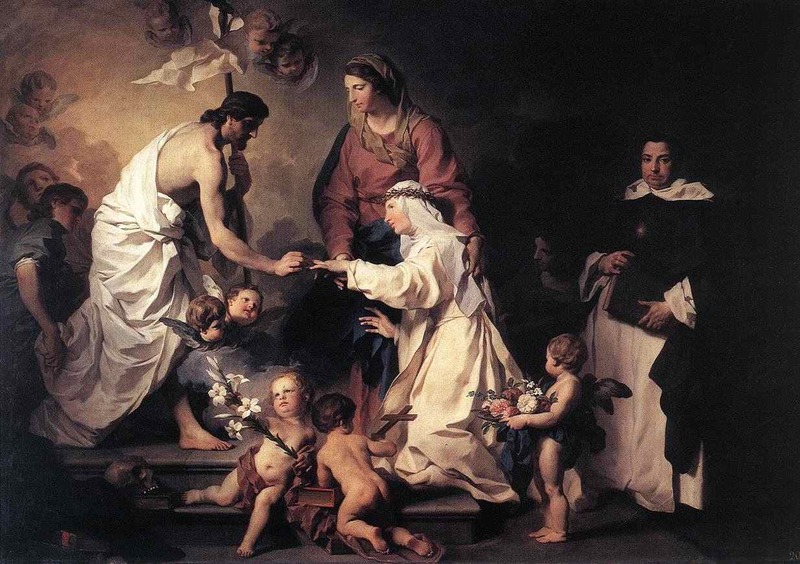 Today the Dominican Order celebrates the feast of St. Catherine de Ricci. She’s known for her mysticism and her devotion, as found in her Canticum de Passione Domini. The studentate has translated and recorded the chant for you. Watch the video above, sung by the student brothers in Ireland, of the canticle of the Passion of Our Lord. It was revealed to Catherine immediately after her first great ecstasy of the Passion. Our Lady desired Catherine to spread it as a form of prayer and contemplation for the salvation of souls. Below is the text from the canticle which is traditionally chanted by Dominicans on Good Friday. redeem me, Lord, God of truth. Remember your servant, O Lord. Awake, why do you sleep, O Lord? whom you have redeemed by your perilous blood. V. Have mercy on us, O benign Jesus. 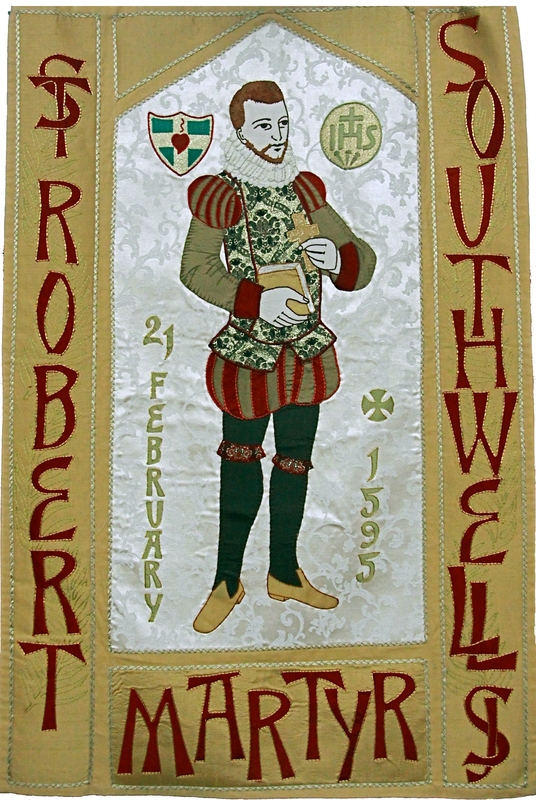 R. Who in Thy clemency didst suffer for us. Look down, we beseech Thee, O Lord, on this Thy family for which Our Lord Jesus Christ did not hesitate to be delivered into the hands of the wicked, and suffer the torments of the Cross. Amen. The Canticum de Passione Domini consists of two-line verses from Scripture, both from the Old and New Testaments, which a solo cantor chants in Gregorian mode II (2) while kneeling before the crucifix. The solemn, sorrowful melody pulses like the heavy breathing of the dying Christ, and the silence between verses hangs with the gravity of Calvary. The span of time that passes between the verses communicates the reality that God inspired the words of David, always knowing that Christ’s crucifixion would fulfill them. As God was granting the Israelites their kingdom and building the temple, He was also announcing that He, the true King and Temple, would be torn down. Yet, Christians know that what was torn down was rebuilt in three days. Friday is perfected by Sunday. Those who die with Christ also rise with Him. From the moment of Baptism we are taken up into the Body of Christ. We begin to live like St. Paul who says, “And I live, now not I; but Christ liveth in me” (Gal 2:20). Christ’s presence within St. Paul was so profound that Paul bear[s] the marks of the Lord Jesus in [his] body (Gal 6:17). 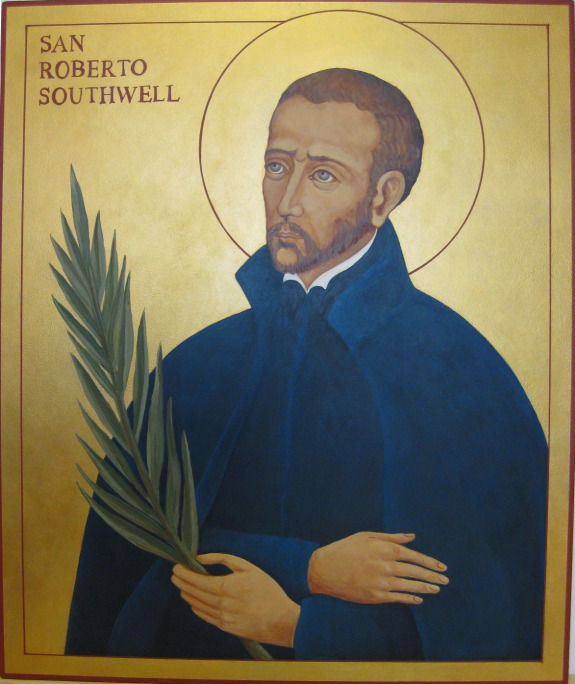 He is possibly the first saint of the Church to bear the stigmata. 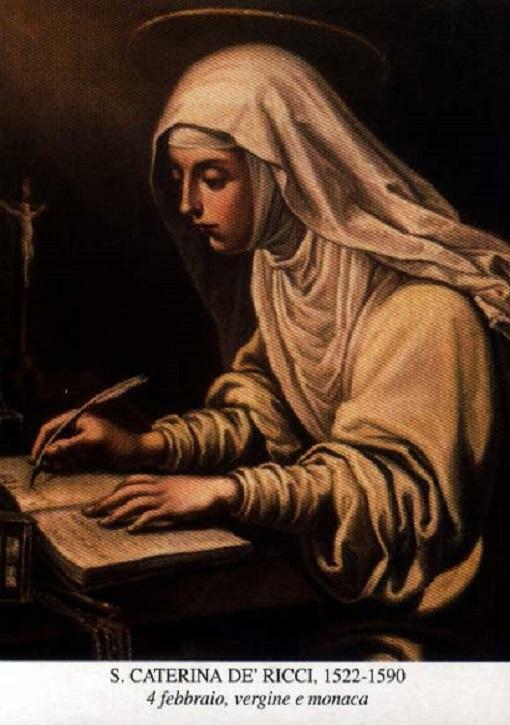 Another popular account of the stigmata is that of the Dominican St. Catherine of Siena, but less known are the wounds of her religious sister St. Catherine de Ricci. There’s an interesting relationship between the two Dominican saints. They share the same name, the same mystical visions, and the same wounds. Look for a painting of St. Catherine de Ricci and try to distinguish her from St. Catherine of Siena. They almost seem to be the same person. This is because both women had a devotion to Christ crucified. 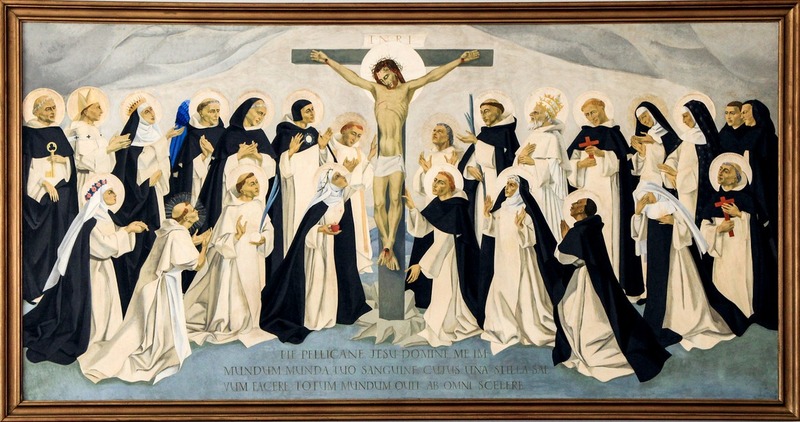 Just as Christ was joined to the cross with His wounds, so too these saintly women were joined to Jesus by His wounds. It was de Ricci’s love and union with Christ Crucified that led her to compose the devotion we shared above. 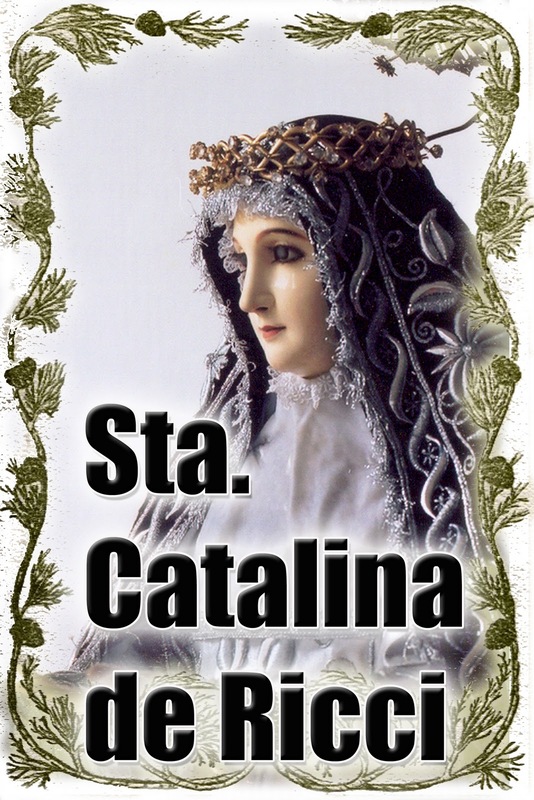 The divine favors that both Catherines received announce the presence of Christ, suffering in His Body the Church. While you or I will likely never encounter such miracles, the reality of Christ’s presence within His faithful people should not be overlooked. It should be seen through the eyes of faith. The baptized are taken up into Christ and adjured to offer their bodies as a living sacrifice. By this, the sufferings of this world are no longer meaningless. God has taken on our sufferings and transformed them into the bridge that connects man to God. Those who mocked Christ on the Cross, beckoning Him to come down, were ignorant of what was being accomplished – His life was not being taken, but He was laying it down for His friends. What kept Jesus on the Cross was not the nails, but His love. No one else possesses the power to choose his or her own afflictions; we are passive in suffering. Yet, the baptized can join St. Catherine’s example. She meditated on the Passion of Our Lord not because it was something that happened in the past, but it was an event that pervaded time, up to her present and up to our present. Christ continues to suffer in His members. Those in the Church, who unite their sufferings to His wounds, are brought up into something greater than themselves. This liberation of our “I”… means finding oneself within the vastness of God and being drawn into a life. . . . [By the Resurrection] we are associated with a new dimension of life into which, amid the tribulations of our day, we are already in some way introduced. . . . This is the meaning of being baptized, of being Christian. St. Paul’s own words, “It is no longer I who live, but Christ who lives within me,” were taken up again by St. Catherine of Siena and St. Catherine de Ricci, marking their own lives. Their similarity of life, their union in the wounds of Christ, bear great witness to the living reality of Jesus in His mystical Body, the Church. They also beckon us all to look to the Passion in prayer. Then, seeing what Christ did two thousand years ago, we can see what Jesus continues to do within us. 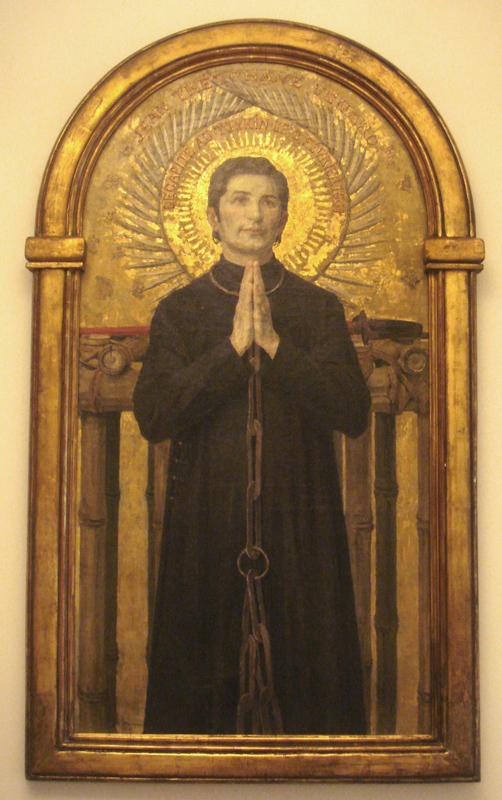 On February 2, the Church celebrates the feast of St. Jean-Théophane Vénard, a French missionary to Vietnam who was martyred for the faith. 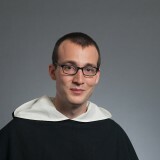 Even as a youngster this holy French priest dreamed of witnessing to the Gospel of Christ. He went to study for the priesthood. Then he entered a college for missionaries in Paris, France. His family, whom he dearly loved, was greatly saddened to think that after he became a priest he would leave them. Theophane realized that the long ocean voyage to the Far East would most probably separate him from his family for the rest of his life. After being ordained a priest, Theophane set out for Hong Kong. He sailed in September 1852. He studied languages for over a year there. Then he went on to Tonkin, present-day Vietnam. Two obstacles were in the way of this zealous missionary: his poor health and a terrible persecution. Yet he struggled bravely on. Often he wrote to tell his beloved sister in France all his adventures and narrow escapes from his persecutors. Due to the persecutions of the anti-Christian Vietnamese Emperor Minh-Menh, priests were forced to hide in the forest and live in caves. They were able to sneak out at night and minster to the people. Eventually someone betrayed St. Jean, and he was arrested. During his trial, he refused to renounce his faith in order to save his life. He was condemned to death, and spent the last few weeks of his life locked in a cage. On the way to martyrdom Father Vénard chanted psalms and hymns. To his executioner, who coveted his clothing and asked what he would give to be killed promptly, he answered: “The longer it lasts the better it will be”. Called Alojzije in his native Croatia, he was born in Krasíc, Yugoslavia, on May 8, 1898. Was educated locally and completed military service in World War I. Considered marriage before deciding to study for the priesthood. In Rome, Aloysius studied at the Pontifical Germanicum-Hungaricum College and earned doctorates at the Pontifical Gregorian University. He was ordained a priest on October 26, 1930. After service as a parish priest, he was appointed coadjutor archbishop of Zagreb in 1934 at the age of thirty-six. 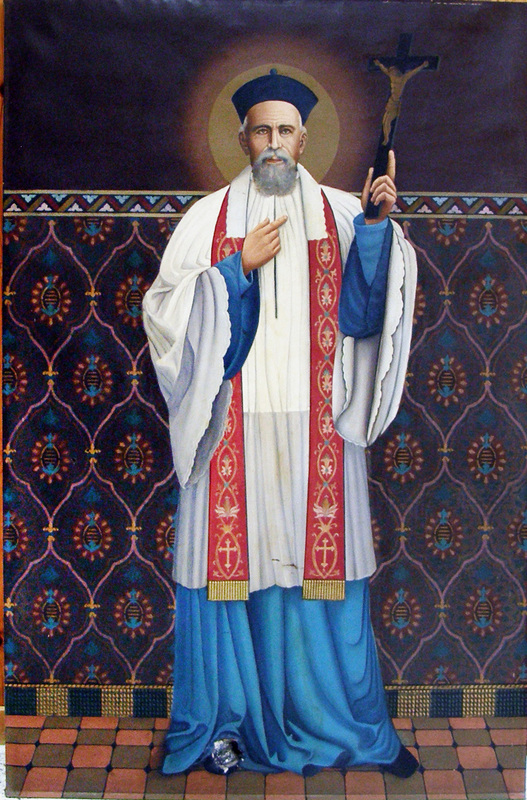 Aloysius was consecrated archbishop of Zagreb when his predecessor died on December 7, 1937. 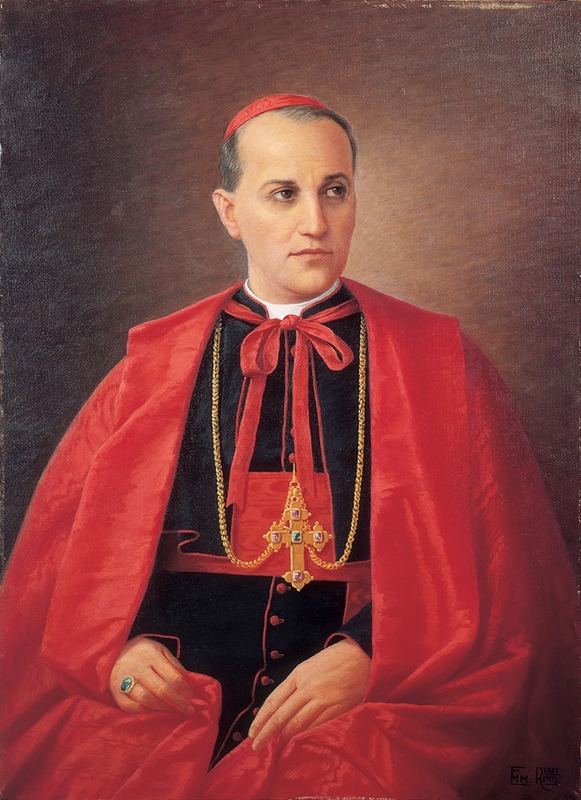 During World War II, Stepinac was most concerned about the plight of Jews and Orthodox Christians. To save as many as possible, he permitted all priests to accept as a convert any Jew or Orthodox Christian without the requirement of special catechetical knowledge. He hid those pursued by the Nazis in monasteries and other Church property. Aloysius was arrested in 1945 for speaking out against the murders of priests by Communist militants and pressured by Josip Broz Tito, the new Communist leader of Yugoslavia, to create a nationalized Croatian Catholic Church without allegiance to Rome. He was put on trial in September 1946 for the ludicrous charge of war crimes and sentenced on October 11, 1946, to sixteen years of hard labor. The Jews of Yugoslavia openly protested this sentence. Aloysius was imprisoned until 1951 when his health deteriorated. He was put under house arrest in Krasíc but he still managed to write more than five thousand letters and to serve as a priest. On June 23, 1953, Pope Pius XII (r. 1939-1958) elevated Aloysius to the rank of cardinal. He died on February 10, 1960, almost certainly as the result of poisoning by his Communist captors. 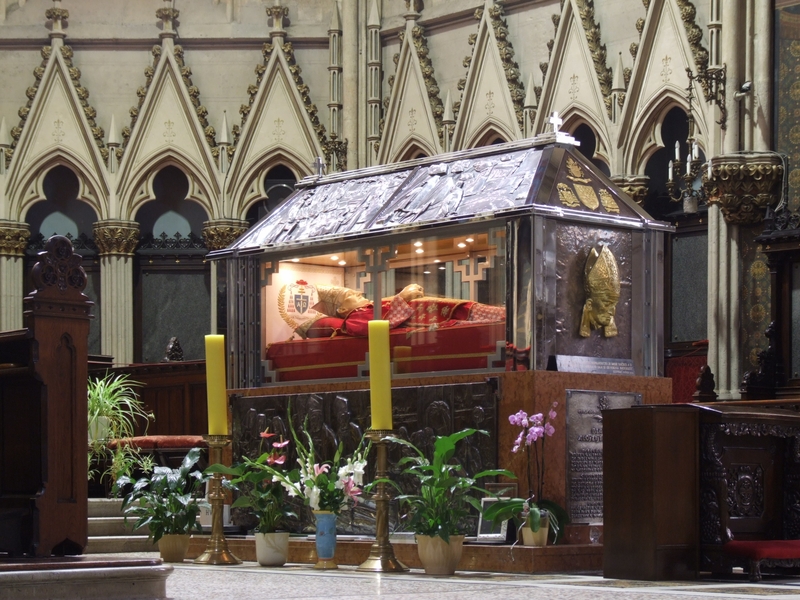 Arsenic was found in his remains as part of the examination of remains in the beatification process. 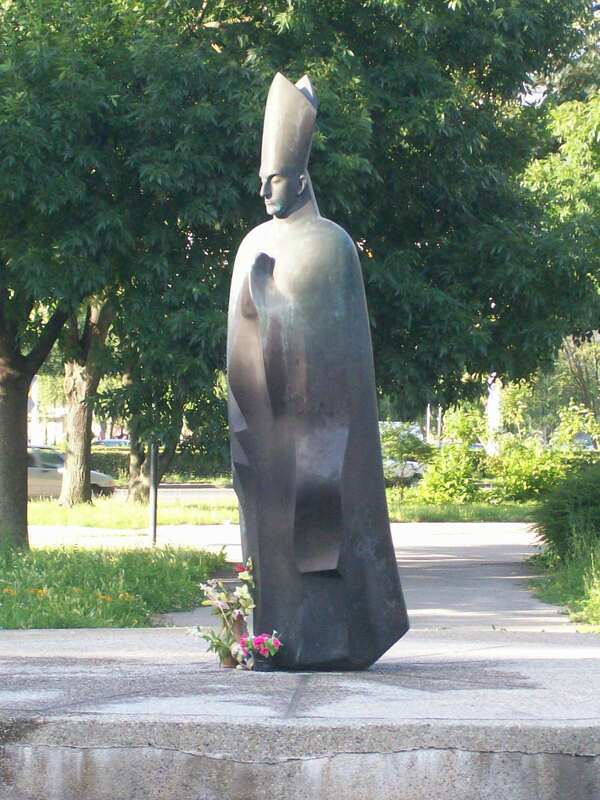 Pope John Paul II beatified Aloysius Cardinal Stepinac on October 3, 1998, at the Marian shrine near Zagreb before half a million Croatians and other faithful. He has been proposed as a candidate for inclusion in “Righteous Among the Nations” at Yad Vashem. Lord, Our God, You bestowed on your servant Cardinal Alojzije Stepinac the grace to believe in Jesus Christ and also to suffer for Him with brave apostolic fervor and love towards the Church. Grant us the same faith and perseverance in suffering for the Church. Raise your servant to the glory and honor of the saints so that he may be an example and intercede for us in life’s battle towards our goal of eternal salvation. Through Christ, Our Lord. Amen. I LOVE BEING MARRIED!!!! I love you Kelly Marie!!!! Very much!!! Thank you for saying “yes”, or “sure”, or whatever it was!!! Thank you for continuing to do so!!! You know how I feel. Elizabeth Canori-Mora was born in Rome on November 21, 1774, from a well-to-do family and was given a good Christian education. As a teenager, she loved fine clothes and socializing as well as spending time in prayer and making small sacrifices to help the poor. At 19, she attracted the attention of a young lawyer, Christopher Mora, and the two were married on January 10, 1798. She embraced marriage as her God-given vocation and vowed to live it as a sacrament of salvation for herself, her husband and whatever children God would give them. 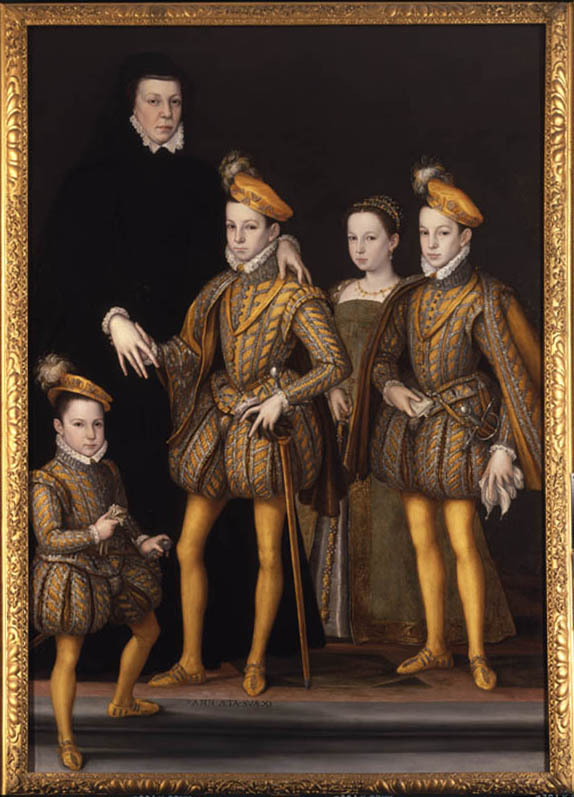 Marriage, however, proved to be a cause of much suffering for Elizabeth when, a few years later, she discovered that Christopher had a mistress and was squandering the family resources on her. She offered herself to God for the conversion of her husband, who also became a compulsive gambler, a heavy drinker and a shady businessman. Elizabeth’s inner pain was as deep as her conviction that the divine law of wedded fidelity admitted no exceptions. As a good mother, she totally dedicated herself to the Christian upbringing of her two daughters, Marianna and Lucina, whom she urged to pray for their father and guided in the choice of their vocations in life. The irresponsible behavior of Christopher resulted in the financial ruin of the family. Christopher abandoned and refused to support them for a time. To remedy the situation, Elizabeth undertook to work as a seamstress. Elizabeth, to pay creditors and to safeguard the good name of her husband, was compelled to sell her jewelry and, even, her wedding garments. She continued to care for her daughters and the daily chores of the home with utmost care. She also dedicated much time to prayer, to the service of the poor and assisting the sick. She dedicated special care to families in need. She was ridiculed by Christopher for her “pious” behavior, but continued to pray for him. Friends and even her confessor advised Elizabeth to separate, but Elizabeth never lost heart. For the sake of Christ, Elizabeth considered the salvation of her husband and of her daughters and used this misfortune for spiritual profit. 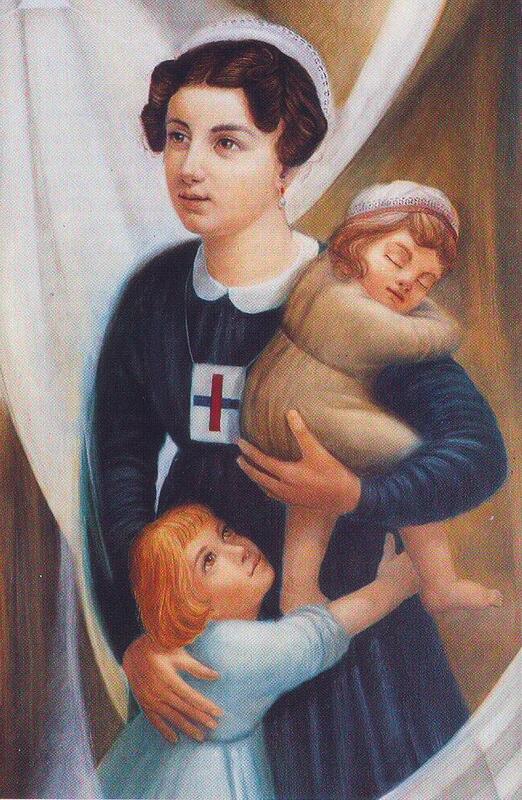 Elizabeth was convinced that “nobody can be saved all alone, and God has entrusted to everyone the responsibility of the salvation of others in order to carry out his project of love”. This is the story of a woman betrayed, however, Elizabeth understood what it meant to be a Christian. She knew that God entrusted Christopher to her through the Sacrament of Marriage and that she had the responsibility to carry this cross to salvation. She could not leave it, because God had entrusted it. At age 50, she developed dropsy. The condition incapacitated her. Miraculously, it caused Christopher to return. During her final weeks, he rarely left her. On her last night on earth, however, he was with his mistress. Upon returning, he found her dead. Seeing her cold corpse, he wept furiously for the sins he had committed. Elizabeth died on February 5, 1825. Christopher rushed to her death bed to utter these words: “Today we have lost a great bride and mother.” Her fame of holiness attracted many priests, religious, noble men and women, and a large crowd of common people to her funeral. 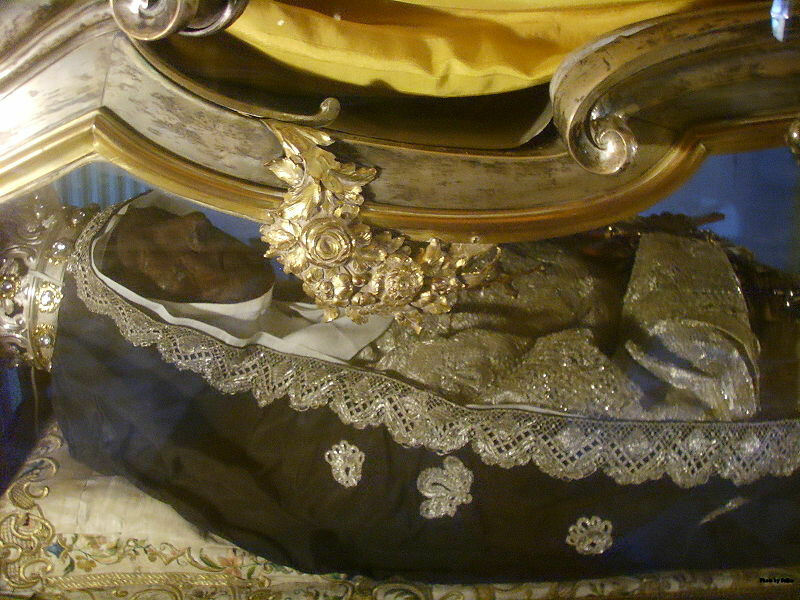 Being closely associated with the Trinitarian Third Order, she was buried in the crypt of the Trinitarian Church of San Carlino in Rome. After a series of miraculous cures were ascribed to her intercession, the Holy See reviewed her life and declared that she had lived all Christian virtues to an heroic degree. Pope John Paul II proclaimed her Blessed on April 24, 1994. After her death, daughter Lucina joined the Sisters of St. Philip, Marianna married, and Christopher began to be seen praying in churches. Often he spoke remorsefully about the sufferings he had inflicted on his saintly wife. 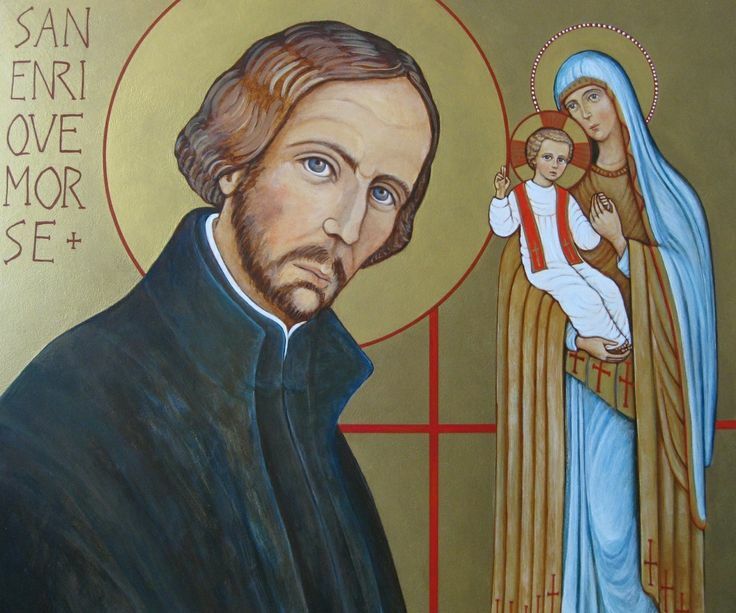 He first became a Trinitarian Tertiary, then he entered the Conventual Franciscans, professed the religious vows of obedience, poverty and chastity, and after completing a course of theological studies, was ordained a priest at the age of 61, fulfilling Elizabeth’s prophecy. He died eleven years later, at the age of 72.
as a Christian wife and mother. Bl Elizabeth Canori Mora, we entrust to you all struggling marriages, and especially spouses who have been abandoned. May they know that their witness to marital fidelity is a treasure for the world and a sign of God’s never-failing love for His beloved children. Bring faithless spouses back to their families, and heal all of the wounds of sin and betrayal. Amen. Bl Elizabeth, pray for us! Joseph avoided the safe compromises by which people sometimes undercut the gospel. 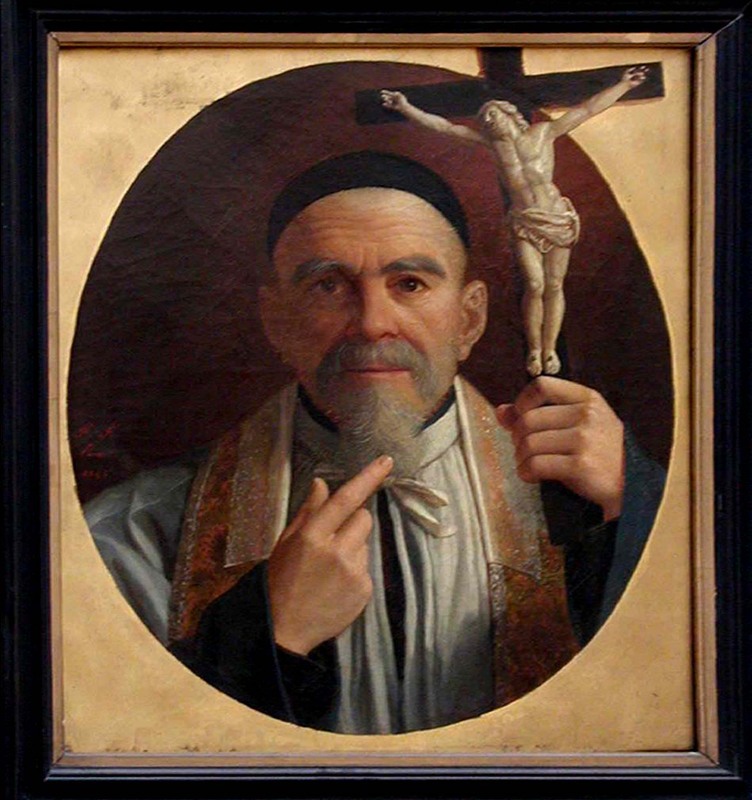 Born at Leonissa in the Kingdom of Naples, Joseph joined the Capuchins in his hometown in 1573. Denying himself hearty meals and comfortable quarters, he prepared for ordination and a life of preaching. Joseph enjoyed such great success in preaching because of his intimate union with God which was cultivated by incessant prayer. He would pray and meditate on the road, while holding his crucifix. Assigned to Constantinople, since 1453 when it had fallen to the Muslims known as Istanbul. He was appointed as chaplain to some 4,000 Christian slaves who worked in the penal colony of Qaasim-pacha. He immediately went to work bringing the gospel and charitable relief to those who were languishing in inhumane conditions. Many times he offered himself as a substitute in order to obtain the release of a slave who was near death. His offer was never accepted. When the plague broke out in the penal colonies, the Capuchins immediately took up the ministry of assisting those who were sick and dying. Two Capuchins, Peter and Dennis, died doing so. Although Joseph became ill, he and Brother Gregory alone survived to remain at the mission. 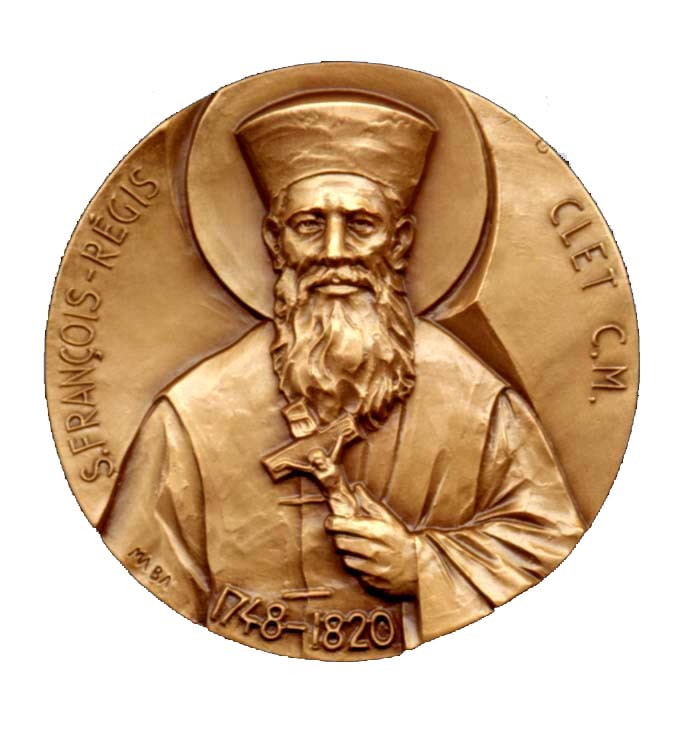 After converting a Greek bishop who had renounced the faith, Joseph devised a plan which entailed approaching the sultan, Murad III, to seek the recognition of the right of freedom of conscience for anyone who was converted or returned to the Christian faith. When Joseph attempted to enter the sultan’s chambers, he was arrested and bound in chains. He was condemned to an immediate death by being hung on hooks. He was hung from the gallows with one hook through the tendons of his right hand and another through his right foot. Near death, on the evening of the third day, the guards cut him down. 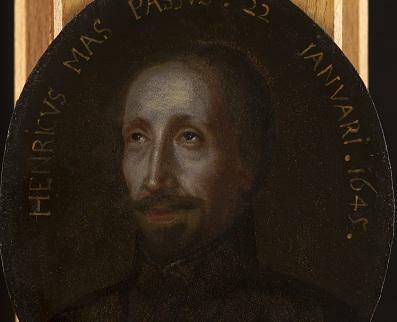 Joseph quickly left Turkey and arrived at Rome where he and the converted Greek bishop presented themselves to Pope Sixtus V. Following Joseph’s return to Italy, in the autumn of 1589, he took up residence at the Carcerelle in Assisi. Helped establish hospitals, homeless shelters, and food banks. Ministered in prisons, to the sick, and the poor. With his crucifix in hand, he would wade into gang fights and brawls, praying, and preaching peace and good sense. The Ricci are an ancient family, which still subsists in a flourishing condition in Tuscany. 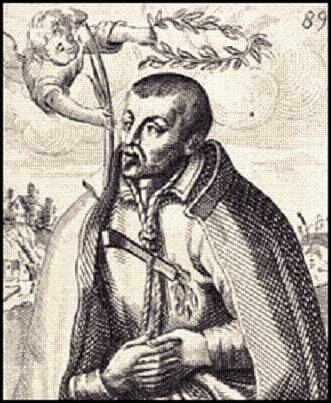 Peter de Ricci, the father of our saint, was married to Catherine Bonza, a lady of suitable birth. 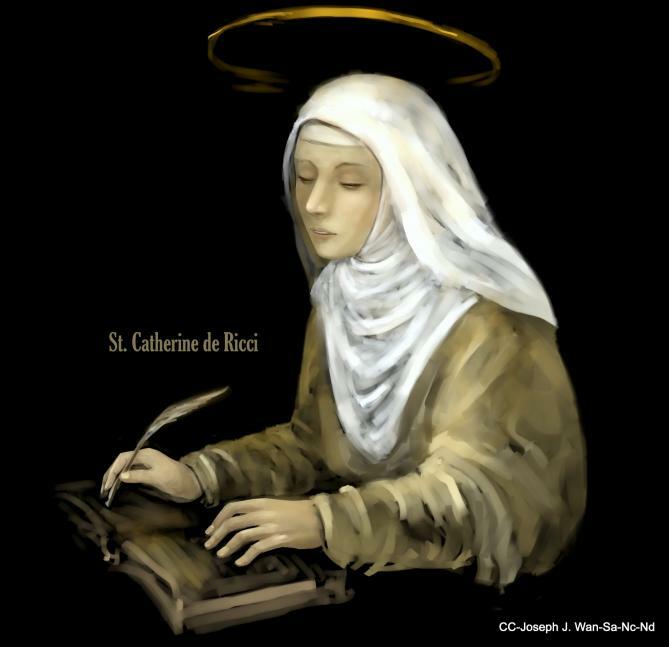 The saint was born at Florence in 1522, and called at her baptism Alexandrina, but she took the name of Catherine at her religious profession, in honor of St Catherine of Siena, OP. Having lost her mother in her infancy, she was formed to virtue by a very pious godmother, and whenever she was missing she was always to be found on her knees in some secret part of the house. When she was between six and seven years old, her father placed her in the Convent of Monticelli, near the gates of Florence, where her aunt, Louisa de Ricci, was a nun. This place was to her a paradise: at a distance from the noise and tumult of the world, she served God without impediment or distraction. After some years her father took her home. She continued her usual exercises in the world as much as she was able; but the interruptions and dissipation, inseparable from her station, gave her so much uneasiness that, with the consent of her father, which she obtained, though with great difficulty, in the year 1535, the fourteenth of her age, she received the religious veil in the convent of Dominican sisters at Prat, in Tuscany, to which her uncle, Fr Timothy de Ricci, OP, was director. For two years she suffered inexpressible pains under a complication of violent distempers, which remedies only seemed to increase. These sufferings she sanctified by the interior disposition with which she bore them, and which she nourished by assiduous meditation on the passion of Christ. The victory over herself, and purgation of her affections was completed by a perfect spirit of prayer; for by the union of her soul with God, and the establishment of the absolute reign of His love in her heart, she was dead to and disengaged from all earthly things. The saint was chosen, when very young, first as mistress of the novices, then sub-prioress, and, in the twenty-fifth year of her age, was appointed as perpetual prioress. The reputation of her extraordinary sanctity and prudence drew her many visits from a great number of bishops, princes, and cardinals-among them, the Cardinals Cervini, Alexander of Medicis, and Aldobrandini, who all three were afterwards raised to St. Peter’s chair, under the names of Marcellus II, Clement VIII, and Leo XI. They were among the thousands who sought her prayers while she lived, and even more after her passing. Most wonderful were the raptures of St. Catherine in meditating on the passion of Christ. She received visions and had ecstasies, but these caused some problems and doubts among her sisters – outwardly she seemed asleep during community prayer, or dropping plates, or food, or dully stupid when the visions were upon her. Her sisters feared for her competence, even her sanity. Catherine thought everyone received these visions as part of their lives with God. She was stricken with a series of painful ailments that permanently damaged her health. 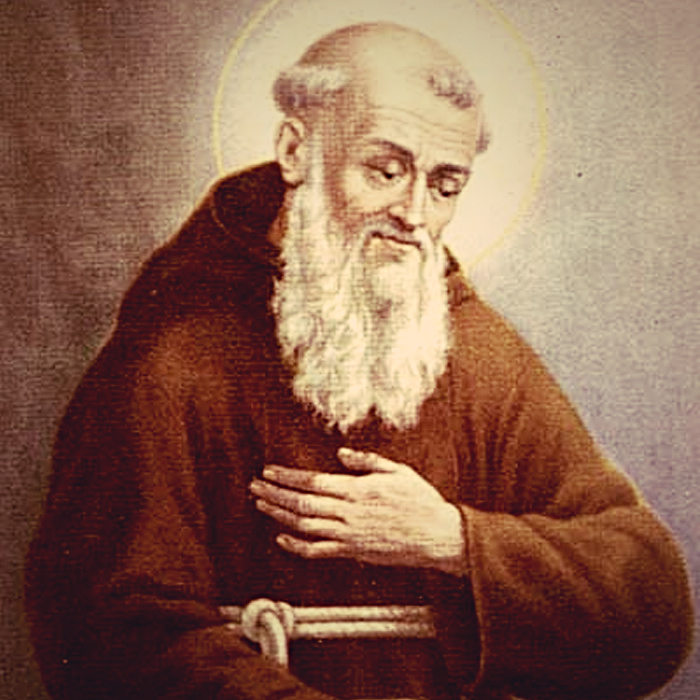 Catherine met Philip Neri in a vision while he was alive in Rome; they had corresponded, so they knew each other. She could bi-locate. Neri confirmed during her beatification he spoke with her in person, when she was known to be in prayer in the convent and could not have physically made the trip to Rome to speak with him, a distance of nearly 200 miles. Said to have received a ring from the Lord as a sign of her espousal to Him; to her it appeared as gold set with a diamond; everyone else saw a red lozenge and a circlet around her finger. 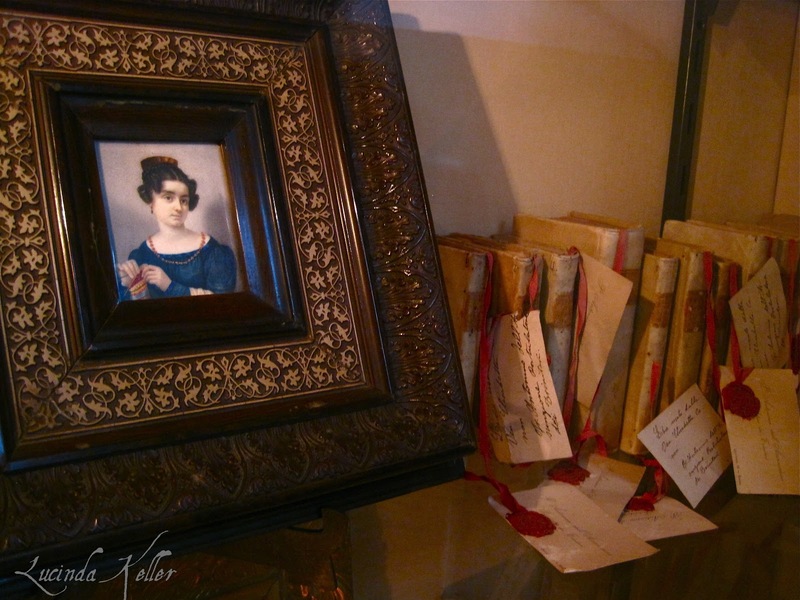 At age 20 she began a 12-year cycle of weekly ecstasies of the Passion from noon Thursday until 4:00pm Friday, often accompanied by serious wounds. Her sisters could follow the course of the Passion, as the wounds appeared in order from the scourging and crowning with thorns. At the end she was covered with wounds and her shoulder was indented from the Cross. The first time, during Lent 1542, she meditated so completely on the crucifixion of Jesus that she became ill, and was healed by a vision of the Risen Lord talking with Mary Magdalene. Crowds came to see her, skeptics and sinners being converted by the sight. The crowds became too numerous and constant that the sisters prayed that the wounds become less visible; He made them so in 1554. After a long illness she passed from this mortal life to everlasting bliss and possession of the object of all her desires on the feast of the Purification of our Lady, on the 2nd of February, in 1589, the sixty-seventh year of her age. -Mystical Marriage of St. Catherine de Ricci, by Pierre Subleyras, 1745. 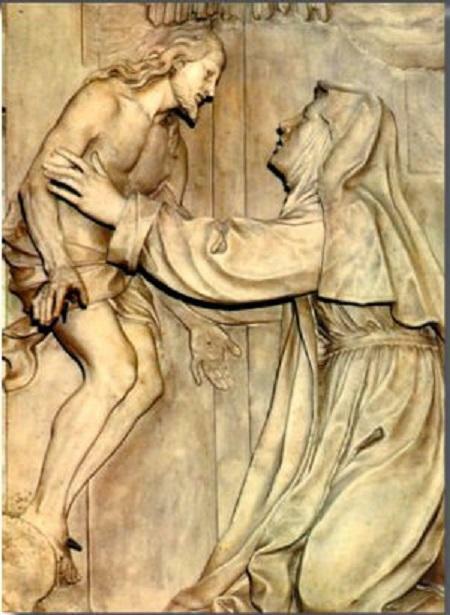 -St Catherine de Ricci receiving the wounded Christ from the Cross in a mystical vision.